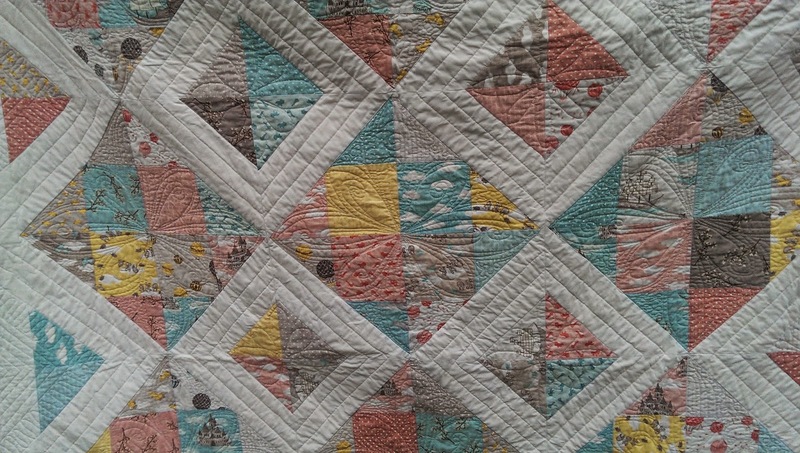 I decided to try out my fledgling FMQ skills on this quilt which was a very 'interesting' experience. I quickly discovered that I needed a proper ruler to sew the straight lines without ruining my machine. I bought one (now the quilt is finished) called a Line Tamer (more commonly known as the Lion Tamer for obvious reasons!). The flowers, though far from perfect, were much easier than I thought. 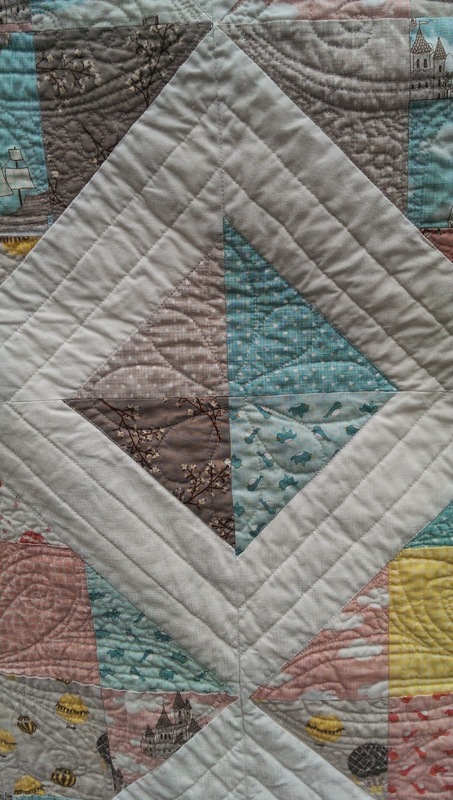 I used a Frixion pen to mark out the quilting lines and this worked really well. I was worried that the pen might leave marks, especially on the white fabric, but it was fine - they just ironed right away. The straight lines were much, much harder and this is something I will have to practice. 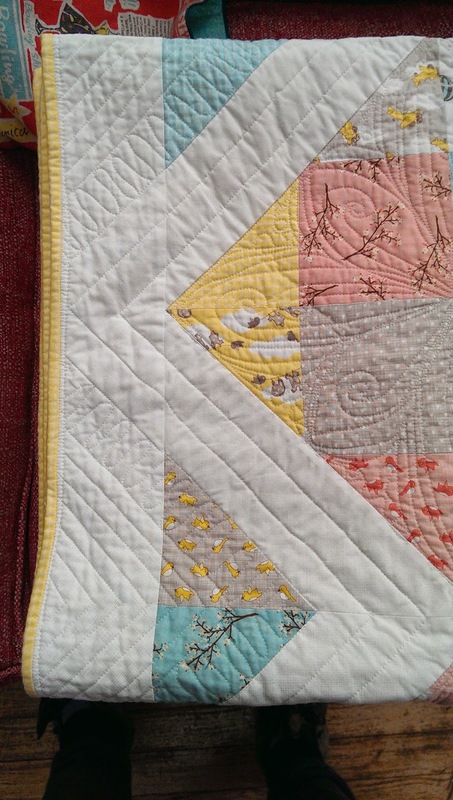 I used my favourite So Fine in colour 401 for the quilting, both in the bobbin and for the topstitching. The problem with doing fancy quilting is that you have hundreds of threads to sew in at the end. I spent a lot of time trying to figure out how to move across the quilt without stopping and starting (fewer threads to sew!) but was only partially successful at this. Anyway, I'm very pleased with the end result and I hope it will make some girl (it's definitely a girlie quilt) very happy. 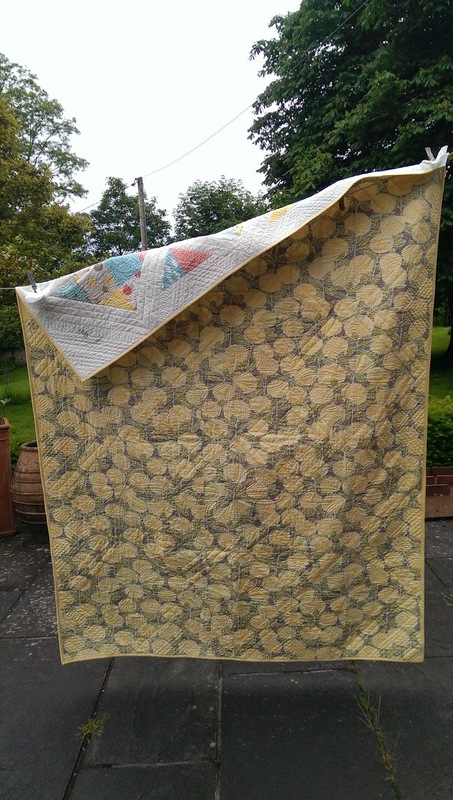 Congratulations to Carol; what a beautiful quilt. 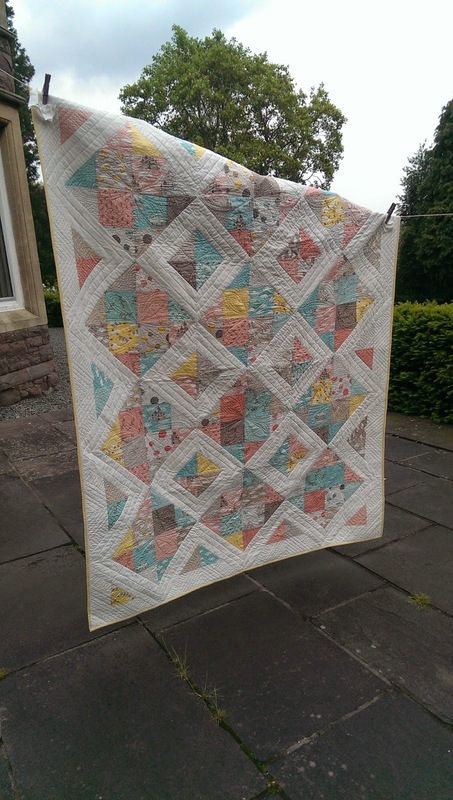 The colour combinations are super and the quilting is wonderful. I just tried "straight" lines without a ruler too, but yours are much, much straighter than mine. There will soon be one very happy little girl. Love the quilt fabric and even the quilt design, good choice! What a lovely quilt and such a worth cause. Bravo! Hmmm. I have gotten the very same response as above on my blog. Do we think this is a real person? The last word on it has me really suspicious. But I really like your quilt! Wonderful and cheerful quilt! A girl will love it!! !